iPhoneography is the art of creating photos with an Apple iPhone and images are both shot and processed on the iOS device. Photos can be edited using different graphics application, or not, and a variety of formal and experimental techniques are employed to create simple or sophisticated imagery. The beauty of this kind of photography is it’s accessibility: all kinds of people can engage with photography and the elements of art as they create ‘on the go’. As so many people have camera phones and internet access, forums for sharing imagery, such as instagram and flickr, as a way to connect with content and people have become popular. Now, I’ve heard a lot about what the iPhone and other phone cameras ‘can’t do’, and yes, there are limitations in quality and control with this kind of device. The biggest frustrations often surround file size, printing large scale and image quality. But the medium is also capable of producing imagery that is inherently different to SLR photography. Different in a good way. With an iPhone you have a new tool in your art making tool kit and it’s worth exploring the resources below to see what all the fuss is about. But can the iPhone replace ‘real’ photographic gear? It’s an old adage, but the best camera to use is the one you have, and camera phones, well, everyone as them – all the time! We reach into our pocket and snap away when ‘that moment’ happens. You know the kind; on the way to work you saw a some shadows creeping across the wet asphalt, at the coffee shop your girlfriend’s hair caught the light… If you don’t have a camera, the question becomes a moot point. There really is something to be said for the increased opportunities for photographers with this in mind. But as far as a direct comparison of devices, I would say it’s a case of ‘apples and oranges’. The iPhone is not a DSLR, it’s a different medium. You can draw with pencils or crayons, and both can render an image, but the effect is going to be different. Using common sense, in this example one image is not automatically destined to be better as a direct result of medium. The iPhone can do things the DSLR cannot, and vice versa. The key is harnessing the power of what’s in your hand; that’s where the technique and skill comes in, and it’s where the magic happens. Our favourite iPhoneography site has the most incredible tutorials, but what makes them different form the rest is the quality of contributors. Many ‘how to’ guides are created by innovative iPhoneographers and artists based on their work. Best of all they are written up as flexible and creative idea generators, rather than prescriptive tasks. A huge variety of techniques are explored alongside app demonstrations and example images. Check out the images in this gallery to see why we can’t get enough of iPhoneography central! Check out this great site with a showcase of iPad art from the ‘7th Annual iPhone Photography Awards‘…and links to some great ibook collections of previous winners. The biggest iPhoneography ‘news’ website we know of, iphoneography.com, a great place to see the latest apps, ideas, techniques, products and kickstarter projects. “The National Geographic Society has been inspiring people to care about the planet since 1888. It is one of the largest nonprofit scientific and educational institutions in the world. Its interests include geography, archaeology and natural science, and the promotion of environmental and historical conservation.” (source: National Geographic) Their powerful imagery has always given us a place to see the world differently. The photographs amongst their pages, and now online are inspirational. This site has a variety of galleries and this link will take you to a great collection of resources for iPhone photography. There’s hints, tips and stories from National Geographic photographers using mobile technology – well worth a look. Craig Nansen has an excellent post on iPadography and there are some extensive app lists and links here that are well worth trawling through. Lots. And another List-ly here that has some excellent iPhoneography app lists too. 7 iPhone camera tips and tricks…really useful stuff for beginners. If all you’ve done with your iPhone so far is point-and-shoot, or if you’re just plain new to the device, click here for seven handy hints from Mashable that might well help you snap some great pictures. 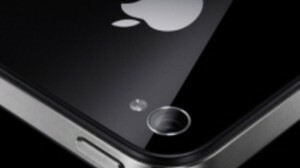 Related posts: iPhone Journalism: Can the iPhone replace Photographers? Very useful collection. What are your favourite apps for manipulation on the iPhone? So many! Everyday there’s something else. Today I was using TrueHDR out and about. It was recommended to me by Bill Frakes and Laura Heald at ADE Institute 2013…and I haven’t been able to stop using it. Particularly exciting for landscapes, sunrises, etc. Also love the 360 Panorama, CloneCamera (for multiple shots of people in different locations in one image) and Pro Camera, which is my go-to app as you can control focal points really easily. Just added Craig Nansen’s amazing lists to the post – check it out. Thanks so much for this great resource, Craig! Good post! These are some excellent insights and good resources. Shameless plug here, but Life In LoFi is another one of the oldest iPhoneography websites on the net, going on our fourth year this summer. We feature iPhoneography news, giveaways, and among the most respected app and gear reviews in the blogosphere.